Congratulations! You were accepted to Safirka preschool and you will soon start. To make you feel at ease we would like to provide you with some basic information. If we forgot something do not hesitate to ask us. Before the beginning of the school year you will be invited to download this application “Chytrá školka” that allows parents to mark the absence of the child and unregister the food for the day. It will also notify you of your class trips and events in advance. For that you need to allow the notifications. All the parents agree to follow the School Rules Code of Safirka when signing the contract. The actual version is available on the school boards or here. What do you need to know for the first day? Have our application downloaded, sign in the attendance of your child. In case of an illness it is possible to pick up lunch the first day of absence between 11:40 and 12:00 am. You can cancel the your child’s lunches through the application (it is possible till 10am for the following day/s). In case of illness we kindly ask you to to notify us by phone your child’s symptoms. You can arrive to school from 6:30 to 8:45 so that the child has some time for free play before we start our program at 9:00 am. The late arrivals disturb the running of the class. You can pick your children after lunch at 12:30 or after snack from 15:00 to 17:30. The main program of the class is scheduled from 8:30 to 16:30, other time the classes are joined. We do not accept ill children at school. We understand that sometimes it is complicated for your professional life, especially the first year but we are obliged to protect the health of all the children and employees of the school. If necessary, teachers can kindly ask you for a confirmation from your doctor that your child is not contagious. During the whole week children have enough organized activities and free play: singing, sport, dancing, creative activities. 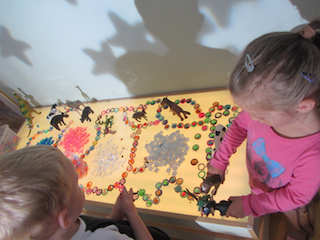 During the main program they attend Reggio atelier, school preparations and speech therapy. The free play is very important for young child's healthy development and social skills. It is especially during the afternoon that children have space to be together and play freely. For older children we propose sport with Lemur or winter skiing (charged by Lemur). Join our private Safirka Group on facebook and be in touch with other parents to exchange, discuss, suggest. You can initiate an event at school or plan a surprise for children. Some of our parents meet each other and organize events even after their children have left Safirka and have started elementary school.